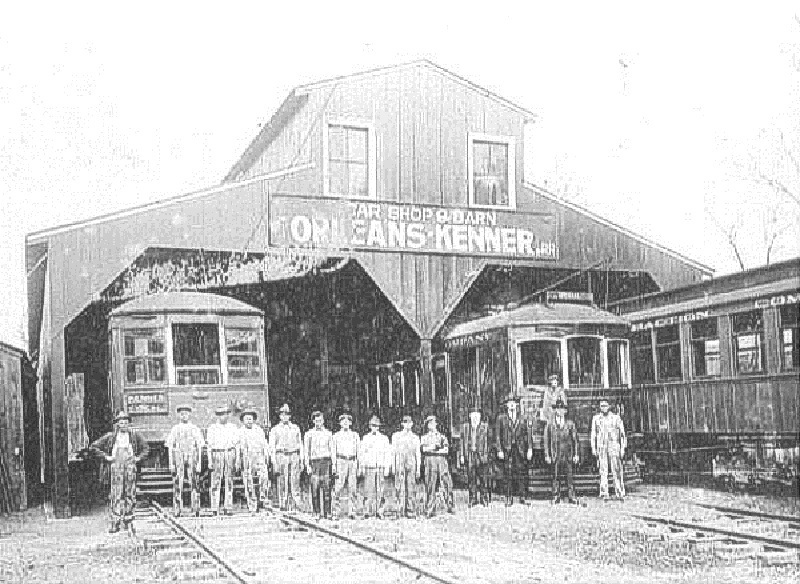 About midway through Jefferson Parish, the Orleans-Kenner interurban (or O-K Line) passed through the village of Harahan. The company's car barn and power station were located here as well as one of its busiest stops. "Harahan City," as the subdivision was promoted at the time, was laid out in 1914 near the railyards bearing the name of J. T. Harahan, president of the Illinois Central Railroad. 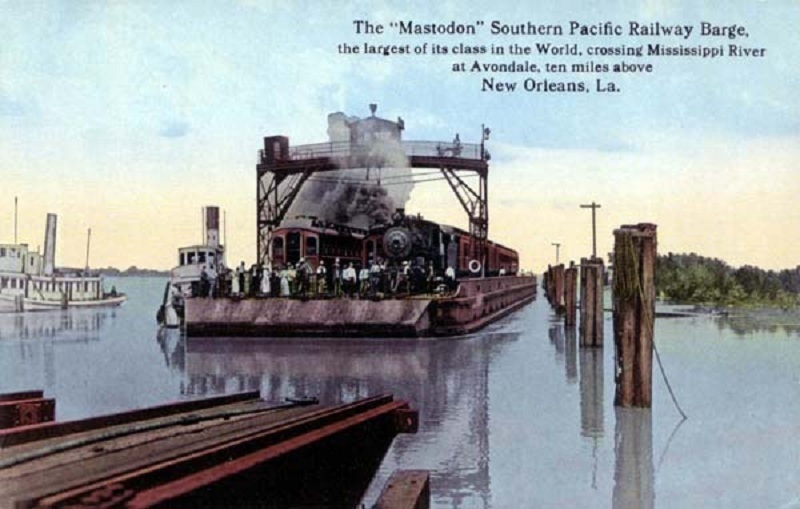 The Illinois Central and Southern Pacific Railroads maintained a ferry crossing between Harahan and Avondale to carry their railroad cars across the Mississippi River. To reach this ferry, the rail cars traveled up an incline that brought them over the river levee. Once the O-K Line began operating, the Illinois Central had to raise this incline so that the O-K Line cars could pass underneath and travel to Kenner and beyond. 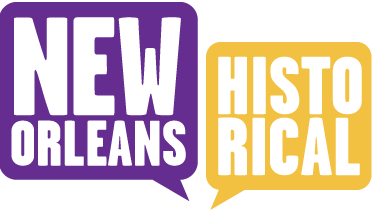 After a delay of four months, service was extended from Harahan to Kenner on July 3, 1915. The O-K Line was a great benefit to Harahan and the surrounding areas along present-day Jefferson Highway. At a time when good roads in rural Jefferson Parish were hard to come by, the O-K Line provided a cheap and reliable way for the farms and dairies of the area to get their goods to market. The railroad workers and their families could reach Canal Street in less than an hour without a single transfer. Also, the O-K's power station provided electrical service to the residents between Kenner and Shrewsbury. The paving of Jefferson Highway along the O-K tracks between Kenner and New Orleans during the mid-1920s contributed to a rapid decline in patronage. Once Jefferson Highway and South Claiborne Avenue were connected in September 1928, one could travel quickly by automobile along the exact route taken by the interurban line. After a series of cutbacks, service was discontinued on December 31, 1930. Today, there is little evidence of the O-K Line's former presence in Harahan. The S-curve on Jefferson Highway dates to the original plan of the subdivision providing room on either side of the line's right-of-way through the town center. There is also a street intersecting Jefferson Highway near Colonial Club Drive called "O K Avenue" that is derived from the name of the line. O-K Line Harahan barn, 1920s: This is a view of the O-K Line's car barn in Harahan during the 1920s. This wooden building existed on the river side of Jefferson Highway near the S-curve. It replaced a smaller structure that was destroyed by a storm in 1919. The company's power station which generated the electricity to run the line was located nearby. Photo from the collection of E. Harper Charlton. Published in Harper and Charlton's Street Railways of Louisiana. O-K Line, circa 1923: A view of the O-K Line in Jefferson Parish around 1923. 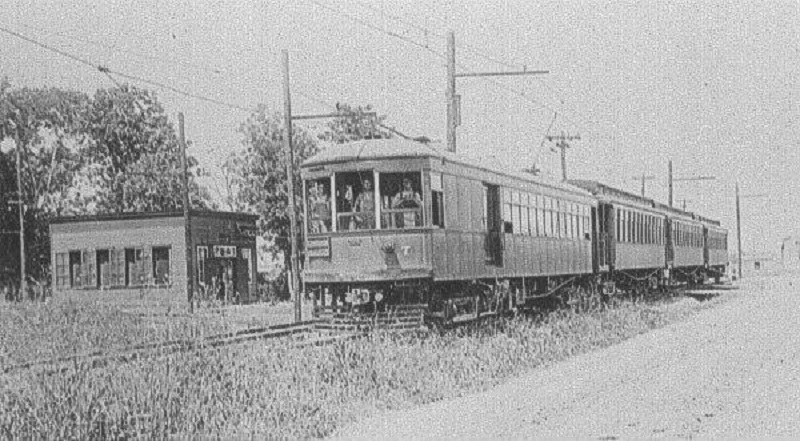 The regular interurban car is pulling three trailers that were formerly in service in Brooklyn, New York. These trailers were often used during times of high patronage, such as when horse racing was in season at the Jefferson Park Race Track near Shrewsbury Road. Photo from collection of D. R. Toye, S. J. Published in Harper and Charlton's Street Railways of Louisiana. 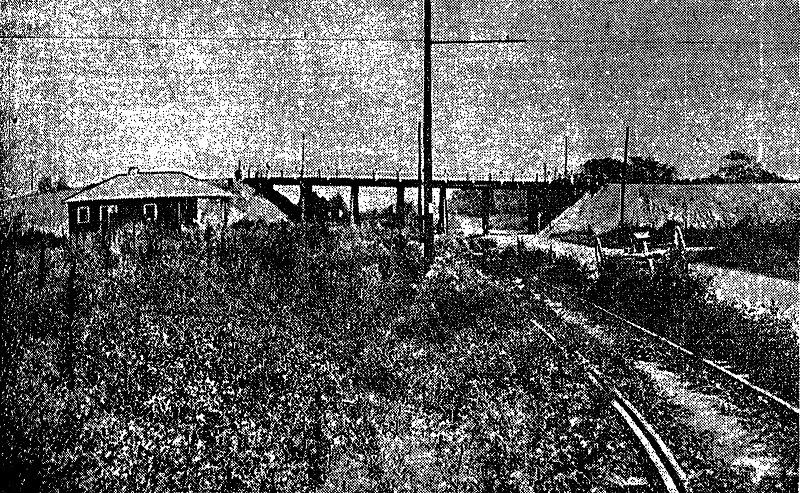 O-K Line Harahan underpass, 1915: This photo, taken during the inaugural year of service, shows the tracks of O-K Line and the adjacent public road (soon to become Jefferson Highway) passing underneath the Illinois Central/Southern Pacific Railroad ferry incline at Harahan. This ferry service was rendered unnecessary after the combination railroad-vehicular Huey P. Long Bridge opened in December 1935. "Glimpses Along the 'O.-K.' Interurban Trolley Line," The Times-Picayune, September 19, 1915. Harahan-Avondale Railroad ferry: A color rendering of the Illinois Central/Southern Pacific Railroad ferry that operated between Harahan and Avondale during the era when the O-K interurban line was in service. Courtesy of Louisiana Division/City Archives, New Orleans Public Library. Jeremy Deubler, “O-K Line: Harahan Barn & Ferry Crossing,” New Orleans Historical, accessed April 24, 2019, https://neworleanshistorical.org/items/show/300.